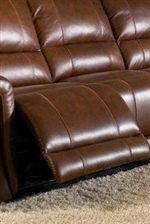 Perfect for hosting parties and movie nights, this reclining sectional is the ultimate group seating arrangement. 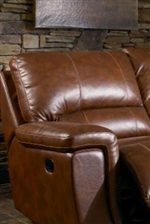 Wrapped with grade 20 leather on the inside and a matching PVC upholstery on the outside, this sofa offers dependable quality and sleek style all-in-one. 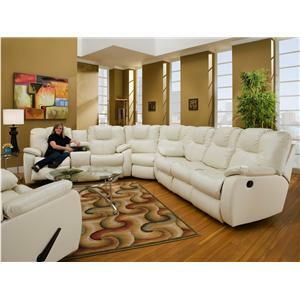 With room enough for at least 5 people, this sectional is comprised of reclining chairs and a lengthy chaise on one end -- perfect for sprawling out and putting your feet up after a long day's work. Soft and supportive from head to toe, this sectional features pillow-top arms, pad-0ver-chaise seats, and channel-tufted backs. As an added bonus, a storage console with cupholders makes this sectional the perfect place to relax with food and drink in hand. 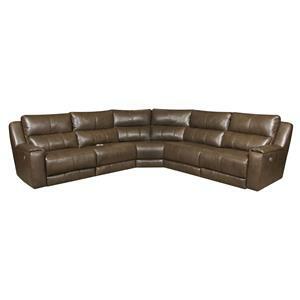 The 2678CS Reclining Leather Sectional Sofa by HTL at Fashion Furniture in the Fresno, Madera area. Product availability may vary. Contact us for the most current availability on this product. 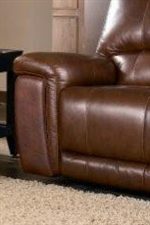 1.5COURAB RAF Chaise 1 43" 69" 39"
1.5EL1X LAF Recliner 1 43" 42" 39"
1.5NA Armless Chair 1 31" 42" 39"
STA Sectional Storage Console with Cupholders 1 12" 42" 39"
1.5NA1X Reclining Armless Chair 1 31" 42" 39"
C Sectional Wedge 1 51" 51" 39"